Please welcome KTM, the most recent addition to the worldwide tokamak family. 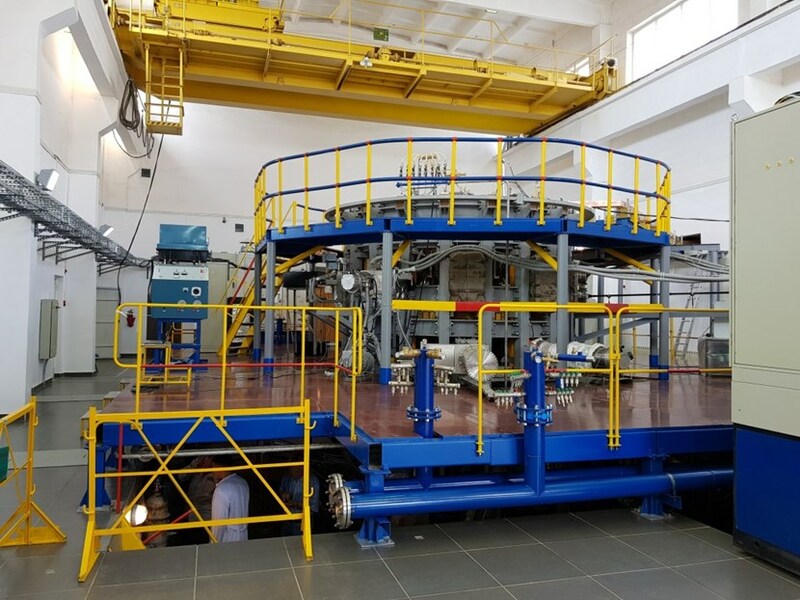 KTM, the Kazakhstan Tokamak for Material testing, celebrated its physical start-up on 9 June in the city of Kurchatov, eastern Kazakhstan. 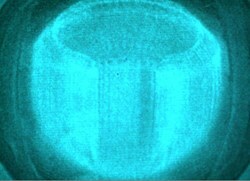 A photo of the KTM plasma discharge, which lasted approximately 20 ms (captured from a video). The first stage of physical start-up has now been achieved. With a major plasma-radius of 0.9 m the spherical KTM device is much smaller than ITER (6.2 m). 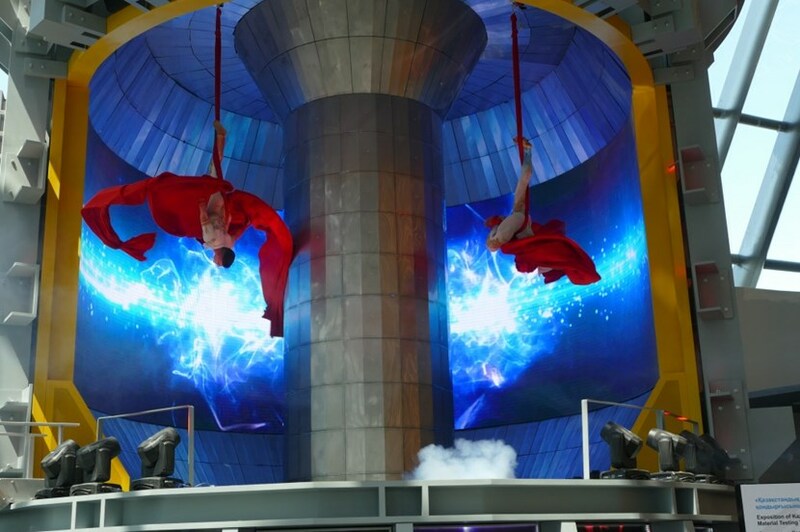 But the Kazakh machine is designed to operate with heat loads of up to 20 megawatts per square metre, which is in the same range as the ITER device. This characteristic makes the machine a very attractive test bed for investigating the materials that are best suited to the demands of electricity producing fusion reactors. The choice of material for the plasma-facing components of future fusion reactors is an important one. Some component surfaces will have to withstand temperatures of more than 1,000 degrees for sustained periods over many years as well as face enormous neutron fluxes.